Today is November 11th – the 11th day of the 11th month. It is also known as Armistice Day, Remembrance Day, or Veteran’s Day. Originally called Armistice Day in recognition of the day in 1918 when an Armistice was called to end the First World War, it was renamed Remembrance Day after World War II to commemorate all subsequent conflicts of the twentieth century. In the United States we call it Veterans Day to commemorate the veterans who fought in all armed conflicts. Memorial Day, celebrated in May, commemorates all those who have died for their country. Although the name has changed over the past century, the significance remains the same, as does the symbol of remembrance, the red poppy. The scarlet corn poppy, papaver rhoeas, grows naturally in conditions of disturbed earth. The first World War devastated the landscape of Western Europe. 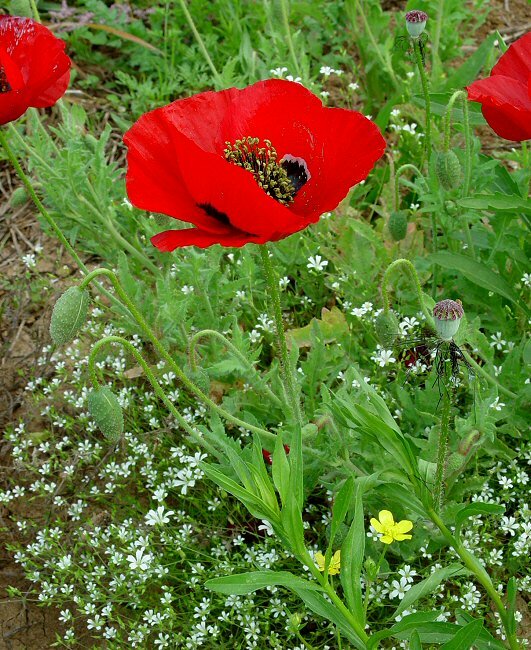 When the war was over, the corn poppy was one of the only plants to grow on the barren battlefields. This natural trait coupled with its immortalization in John McCrae’s poem In Flanders Field established the corn poppy as a representation of the sacrifice of WWI soldiers , and then all subsequent wars and armed conflicts. The Royal British Legion adopted the red poppy in 1921 as the symbol for their Poppy Appeal, the organization for aiding those serving in the British Armed Forces. America has also adopted, although more informally, the poppy as a symbol of remembrance and it can be found planted in areas of commemoration throughout the USA. My town here in Massachusetts has a beautiful field of red poppies surrounding it’s Armed Services memorial outside town hall. 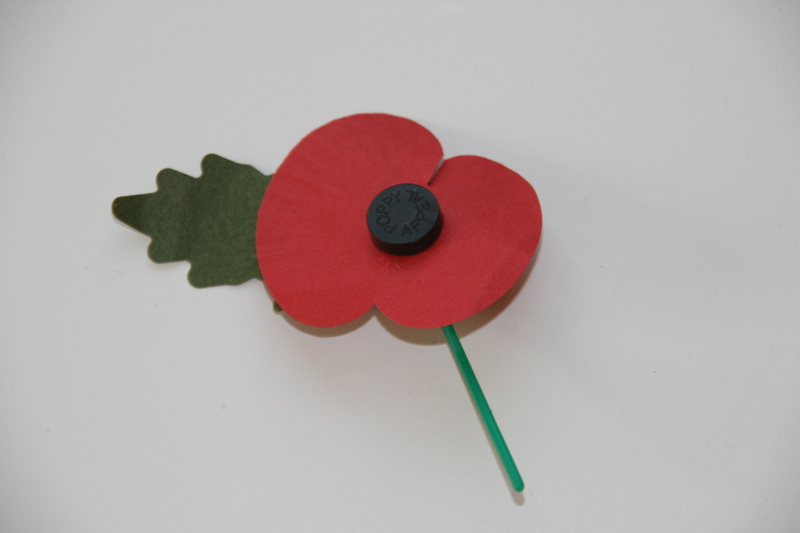 Please take a minute to reflect today on the significance of the humble poppy. This was such a lovely reminder of what this holiday represents. Thank you! I always enjoy reading that poem and the more we remember the better. Such a simple but beautiful flower, and a fitting reminder of those who have been lost.